Globalstar Europe Satellite Services Ltd., a wholly owned subsidiary of Globalstar Inc. (NYSE: GSAT), has announced that The Outward Bound Trust has selected SPOT Gen3 satellite messengers to track and safeguard participants and leaders during wilderness expeditions. Outward Bound is an educational charity that uses learning and adventures in the outdoors to provide personal development to 25,000 young people each year, from primary school age to young adults. Activities are conducted in the UK’s most remote locations in Scotland, Wales and the Lake District. Working with schools, colleges, employers and youth groups, Outward Bound instructors and participants explore national parks, navigating their way through forests and mountain ranges – all areas where mobile phone coverage can be unreliable or non-existent. The groups sleep out in the wild, sometimes for as long as a week. All instructors guiding each 12-person group will carry a SPOT Gen3 device. SPOT Gen3 is a rugged, pocket-sized, low-priced personal GPS messenger that helps users stay connected via satellite even where there is poor or no GSM signal. If an expedition team gets lost or faces an emergency, with a single press of SPOT’s SOS button, the user’s GPS coordinates are transmitted to Outward Bound’s 24/7 operations and security centre so help can be dispatched immediately. When Outward Bound began searching for a solution to enhance trek safety, they considered other technologies but quickly realized that only satellite communications could provide the reliable, ubiquitous coverage they required. SPOT’s SOS feature was also a key factor in the procurement decision. The organization also works with businesses, providing behavioral and skills training for employees. The communications, teamwork and decision-making skills fostered by The Outward Bound Trust activities are transferable to business and organizational situations. SPOT Gen3’s tracking feature allows assessors to follow and analyze each team’s route. As a charity The Outward Bound Trust’s mission is to ensure that learning and adventure in the wild is accessible to all young people no matter what their background and that financial barriers don’t stand in the way of them learning to believe in themselves. SPOT Gen3 provides off-the-grid messaging, emergency alerts, super long battery life, and extreme GPS tracking with intervals as frequent as every 2 ½ minutes. 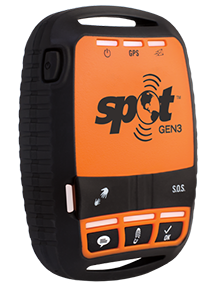 SPOT devices have been used in over 6,300 rescues worldwide. Will Ripley, Director of Learning and Adventure at The Outward Bound Trust, said that because we are responsible for young people, it is critical that their safety is ensured at all times. 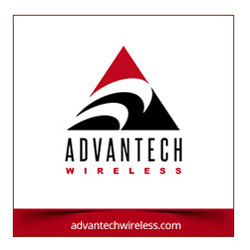 Furthermore, it is vital that, if there is ever an emergency, the company's operations team can instantly know precisely where the group is so help can be rapidly dispatched to the exact location. Gary King, Globalstar Regional Sales Manager for SPOT, added that Outward Bound joins an illustrious list of UK outdoors organizations — including The Duke of Edinburgh Award expedition organizers and mountain rescue services — which rely on SPOT and the Globalstar satellite network to ensure the safety of its participants.